ISLAMABAD: Six ministers were inducted into the federal cabinet on Tuesday, taking its strength to 27. A member of the National Assembly from Karachi, Syed Haider Ali Zaidi, MNA from Ghotki Ali Muhammad Khan Mahar and MNA from Haripur Umer Ayub Khan took the oath as federal ministers, while MNA from Lahore Muhammad Hamm­ad Azhar, MNA from Muzaffargarh Muhammad Shabbir Ali and MNA from Swat Murad Saeed took the oath as state ministers. President Dr Arif Alvi administered the oath to the new ministers at the Presidency at a ceremony attended by federal ministers, lawmakers and senior government officials. 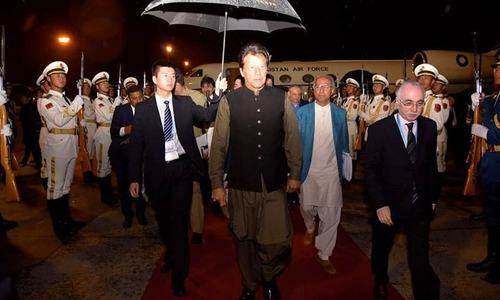 Prime Minister Imran Khan, however, did not attend the ceremony. The oath-taking ceremony was initially scheduled to be held on Monday, but was postponed at the last moment as former Senate chairman Muhammad­mian Soomro refused to be sworn in as a state minister. Informed sources told Dawn that Mr Soomro, who was elected an MNA from Jacobabad on a ticket of the Pakistan Tehreek-i-Insaf, refused to become minister of state for privatisation when he came to know about the portfolio. Mr Ayub and Mr Zaidi have been allocated portfolios of energy and maritime affairs, respectively. Port­folios of other four ministers would be announced later. There are a number of faces in the federal cabinet who had either served in the cabinet during the military rule of former army chief Gen Pervez Musharraf or had been association with him in the past. Ali Muhammad Khan Mahar was the Sindh chief minister during the military regime of Gen Musha­rraf. Similarly, Umar Ayub had also served as minister of state for finance in the cabinet of former prime minister Shaukat Aziz, also during the Musharraf regime. Of 27 members of the present cabinet, eight belong to the coalition parties with whose support Mr Khan managed to win the prime minister’s election with four more votes (176) than the required number. 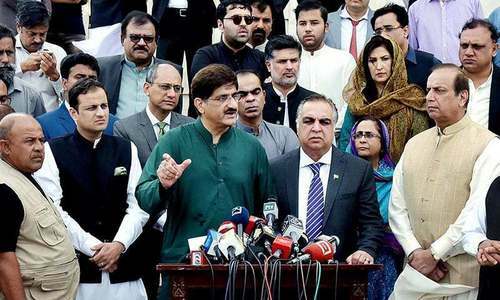 Under Article 92 of the Constitution, “the total strength of the cabinet, including ministers of state, shall not exceed 11 per cent of the total membership of Majlis-i-Shoora (parliament).” As the total membership of the two houses of the parliament is 446, therefore, the cabinet size cannot exceed 49, which means Mr Khan has constituted more than 50pc of his cabinet with the inclusion of four new members.